Most bbq grills don’t come cheap these days, and even if it’s one you built yourself, you’ve probably gotten somewhat attached to it. That’s just one reason why it’s important not to let it end up in the trash before it really needs to. In order to keep your grill running longer, you need to make sure you clean it properly and store it in a suitable place. Even then, from time to time, something will give and you’ll need to fix it. In those circumstances, you might want to check out the options for bbq repair Toronto has to offer. It Might Be a Write-Off – The first thing you need to do is assess the problem and determine whether it’s better to repair or replace. If you bought a very modern grill, it’s likely not designed to have a long lifespan. You can almost certainly find replacement parts for it, although they might be expensive. That, together with even the lowest quote for labour, could see you spending more to repair your old grill, than you would on a new grill. You Get What You Pay for Generally – If one contractor is quoting 50% less than everyone else, this should cause some raised eyebrows. There’s a reason for it, and it might be that they don’t have very much experience, they have a bad name or they don’t have the right insurance. Any combination of these could see you end up losing your money and then some. You Don’t Know What You’re Getting for Your Buck – A particular quote could be the lowest because you’re not getting a full service. It may just be a quote for labour costs, without materials. It could be the other way round. It could be a per-item or per-hour quote. You need to take a good look at what you’re getting for your money before you decide whether it’s actually a good deal or not. Be sure to check on who is actually going to do the work, too. You Could Get Shoddy Workmanship – If you have a grill that’s worth repairing, it’s worth getting the repairs done right. By going for cheap bbq repair in Toronto, you might be getting someone who has no knowledge or appreciation for your particular type or model of grill. 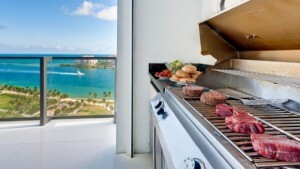 When you need bbq repair, Toronto does have skilled contractors who can get the job done properly, but you need to be extra careful when selecting which one to use, and basing your decision on more than price alone is definitely good advice.